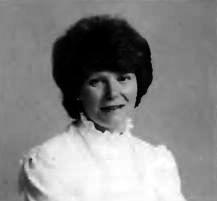 Faith Jones became well known in England and Europe for receiving revelations and instructions from Heung Jin Nim, especially after his Seunghwa in January 1985. What follows is her personal testimony, including some of her first encounters with Heung Jin Nim up until the time of his marriage to Hoon Sook Nim. Faith was born in Carlysle, a city in the northwest of England, in September 1945. Her parents were both very spiritually-minded people. However, problems in the marriage caused them to divorce when Faith was only three years old. From very early on in my life my mother taught me a great deal about God and Jesus. She especially taught me how to develop a natural relationship with Heavenly Father. At the age of three I became open to the spirit world, and I was very sensitive to other people and situations around me. I always yearned to know more about God and Jesus, and I often had dreams of Jesus in which he revealed many truths to me. For example, he told me that he came to establish the Kingdom of Heaven on earth -- not to die on the cross. Whenever I tried to explain such revelations to others, I was told that I was silly or that I was contradicting church teachings, and that I should just be quiet. In my teens I decided to become a missionary nurse, and at 17 I entered training. At that time I also met the person who would become my husband four years later. We married in Carlysle when we were both 21 years old, and in the following years we gave birth to two daughters, now 17 and 15, and one son, now 11. During that time I lived a very practical, down-to-earth life, just raising my family. Partly because of the failure of my parents' marriage, I strongly desired to create a good marriage and family of my own, so I was very family-centered. During that time I also worked with a Christian spiritualist church in Leeds, where we were living. I received many revelations about the new age and the second coming of Christ. Once I had the same vision of Jesus three times in which he told me, "Follow me, and I will make you a fisher of the souls of men" Yet at that time I still wasn't sure which way my life was going or what God was preparing for me for the future. My husband and I met the Unification Church for the first time in November 1977 through a fundraiser who was asking donations for church magazines on the street. Since she was just a pioneer she soon left our city, and we didn't see anyone from the church again for quite a long time. 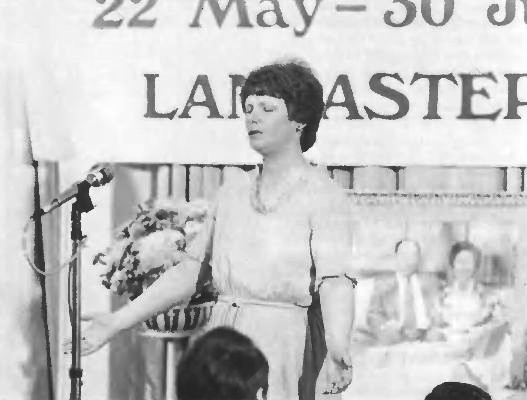 Finally in July 1978 we met an Austrian sister who was working with the One World Crusade, which Father had brought to England at that time. She invited us to a two-day workshop in Scotland. After that experience we both accepted that the Principle was true, and that Father was indeed the new Messiah. From then on our lives changed dramatically. We opened a small center, and several brothers and sisters came to live together with our family. We did home church work in Leeds for four years and assisted the beginning of the home church movement in the north of England. In 1981 we were called to Camberg, Germany, to receive the Blessing from True Parents in the Blessing of 39 previously married couples. Shortly afterwards I became an IW, first for the London region and then recently for Ireland and the Midlands area of England, and my husband began working in business. Heung Jin Nim in Camberg, Germany, in June 1981. 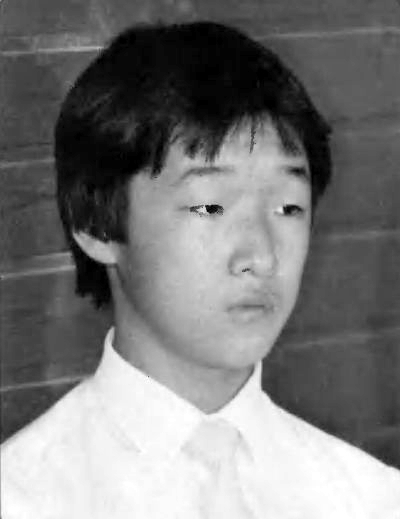 As we know, toward the end of December 1983 Heung Jin Nim was involved in a fatal car accident in upstate New York. On December 29 I was attending a workshop at Lancaster Gate. When we stopped the lecture briefly to do a short prayer condition, I suddenly saw Heung Jin Nim's body right before me, wrapped in a white shroud. God told me at that moment that Heung Jin Nim had to die in order to save Father's life, and that this was the greatest sacrifice that could ever be made. I just started to cry, but I didn't tell anyone about my experience. Later, on January 4, two days after his death, I spiritually saw Heung Jin Nim waking up in the spirit world. Sadly, he was struggling and fighting, regretting that he wasn't blessed and fearing separation from True Parents. I prayed very deeply for him. The following day I saw him spiritually once again. This time he was dressed in a beautiful white suit, and he was much calmer. As he stood before me he became smaller and smaller and younger and younger -- until he was just an embryo! At that point True Parents appeared behind him, and somehow this embryo of Heung Jin Nim went directly into True Parents and united with them. Finally on January 15 I told Mrs. Young Whi Kim about my experiences. She confirmed that they were true revelations about Heung Jin Nim; he had indeed struggled very much in leaving True Parents, she said. She also asked me if I would start praying for three hours each day, as she did. During this time Heavenly Father told me quite a lot about the position of Heung Jin Nim and his mission to help young people. At about six o'clock on the morning of January 24, I awoke to hear a man's voice talking to me about witnessing and telling me how the spirit world looks to God. The voice said that we are in the midst of a violent spiritual war, and although we may not be aware of it, we are constantly being attacked by evil spirits. The voice further instructed that before we go out witnessing we should sing holy songs in order to bring God's spirit down; then the good spirit world would be able to work with us more. We should be strong and fearless while street-preaching and claim the people and the nation for God, the voice said. Also, we should witness to people in high society. Then the voice began to cry. I asked, "Is it Heung Jin Nim?" "Oh, Faith, I miss my Father and Mother so much!" came the answer. It was Heung Jin Nim who was speaking to me. Even though he was with other family members in the spirit world, he still felt very lonely. Somehow, until 40 days after his death, he wasn't free to be with True Parents. He felt tremendous responsibility because of the new mission Father had given to him, and it made him feel even more alone. I was very much like his own mother, he said, and he could easily relate to me through my heart. Although physically he was a man, he needed at this moment to be like a child inwardly and emotionally; he needed to cry, to feel the comfort of physical tears. So as I cried and cried, Heung Jin Nim was able to cry through me. Then Heung Jin Nim talked a lot about True Parents and showed me one special and beautiful scene from his past. True Parents and the True Children were on the lawn at Belvedere, playing ball. Father threw the ball to Heung Jin Nim but he missed it, and the ball hit him. He ran to Father in tears, and Father embraced him deeply. Heung Jin Nim said that it was usually only at such times that he felt free to go to his parents and receive love from them. He loved the warmth of Father's body so much. Heung Jin Nim went on to give instructions about our 40-day witnessing condition. He said that we should go through the records of all the home church work that was done by the IOWC in England, find the names of all those who had heard the Principle in the past, and pray for them. Then we were to go into our areas to look for them. He instructed me and one other sister to do a special prayer condition before going out to visit the people. 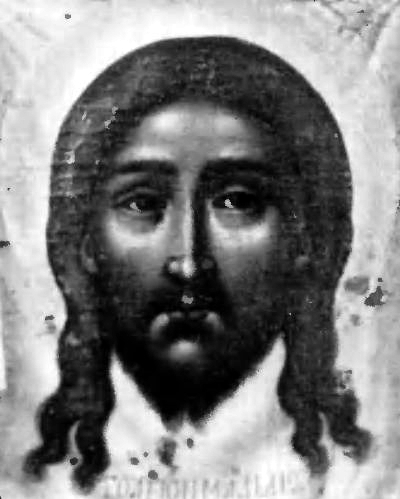 The picture of Jesus that Faith uses when visiting and sanctifying churches and other sites. Next Heung Jin Nim asked me, "Will you be my medium?" I replied, "Yes, if that is what God wants me to do." I told him that I would feel blessed and privileged to work with him, even though I didn't feel worthy in any way. He tied our wrists together with a white ribbon; and taking hold of my hand, somehow he took my spirit out of my body and his spirit entered in. In spirit he came to the Lancaster Gate ballroom and the people there began to see Heung Jin Nim instead of me. He sang a song for them, and as he sang more and more people came in the main door of the ballroom until it was completely packed. Heung Jin Nim left me there; his visit had lasted an hour and a half. Five days later, on January 29, Heung Jin Nim spoke through me to all the members on our national witnessing day. He gave us a great deal of strength and encouragement. He said that he and Jesus were very united, and that Jesus and many high spirits would work together with us to bring people during this period. Also Heung Jin Nim was contacting many pure-hearted young people in the spirit world to help us. We should have faith and not be afraid, he said. If we united in spirit with him, the nation could go forward. After this visit from Heung Jin Nim, Satan attacked. I was the target of constant accusations that I was deceiving brothers and sisters, and that it was Satan and not Heung Jin Nim who was speaking through me. On the third day it rained so heavily while I was working in my home church area that I was soaking wet, and as I prepared to go home Satan said, "Why don't you just go and kill yourself? You should end your life because you are such a deceiver." At that moment I realized clearly what was happening and I became very strong. I told Satan, "Just leave! Go!" The more Satan tried to tell me that it was him and not Heung Jin Nim who was working through me, the more I realized that Satan was frightened of the powerful way that Heung Jin Nim wanted to work. On the morning of February 6 Heung Jin Nim came to me and said, "Here I am, it's Heung Jin Nim; I am here with you. Don't worry. During the last few days Satan has given you difficulty, but you overcame it. Just stay connected to God through True Parents and me. I have tremendous power over Satan. In our relationship it is as if I am the musician and you are my instrument -- a cello or a violin or a piano. I must learn to play you, and the more we practice, the more quickly we can become attuned. Through our give and take, a perfect tune can be played" Then Heung Jin Nim gave me a special prayer and pledge to provide protection from Satan and keep the evil spirit world away. Now I say this pledge every day, in the morning when I wake up and at night before I go to bed. Heung Jin Nim also told me that Father had empowered him to move about freely in the spirit world and the physical world, but that he was still learning and gaining confidence. "Faith, the spirit world is so beautiful!" he said. "When you come here we will fly together! But for now I want to work with you, because together we can do wonders to help the providence progress. You may not feel worthy for me to come to you, but God and I know your heart:' He said goodbye, n d told me he would come again soon. On February 18 God gave me a very clear vision of the marriage of Heung Jin Nim to a Korean sister. When I told Mrs. Kim about it, she said that it was a true revelation, because Heung Jin Nim was to be married to Hoon Sook Nim in two days. Then Heung Jin Nim came back again to further discuss with me our 40-day witnessing condition. It wasn't an ordinary condition, he said -- it was a very special condition for the nation. We were to sift all our old home church contacts to see who still supported True Parents and we were to gather in the fruit of all the sacrifice and hard work done by the IOWC. "When the past is clarified;' Heung Jin Nim said, "and the sheep and goats are sorted out, God will have a completely new foundation on which to work in England." Only when we actually completed this condition could we bring in new members. On the next day, February 19, I awoke at 5 a.m., played holy songs, and said pledge on my own. Suddenly Heung Jin Nim was behind me. He asked me to repent for all our members and for England. After repenting first for myself, I cried all through a very deep prayer of repentance for each region and the whole nation. Then Heung Jin Nim asked, "Please repent for me:' I couldn't respond! I just said, "How can I repent for the holy son of True Parents?" He just pleaded, "Please, Faith, repent for me today:' So I prayed deeply for him in tears. It seems that he wanted to make a new beginning before being married to Hoon Sook Nim the next day. I felt very privileged to attend and work with him in this way. On February 28 I had a very vivid experience in which I was taken into the spirit world. Heung Jin Nim was with me, and all around was a choir of angels and spirits singing beautiful songs, proclaiming that Heung Jin Nim was the king of Heaven. When Heung Jin Nim finally spoke, he said that he had overcome all the emotional struggles connected to his death and that he felt completely free and victorious. Now he could feel happy to take his position as a holy son, feeling healed within himself and one in heart with God. Then he talked briefly about his brotherly relationship with Jesus. At last Heung Jin Nim wanted to bless and thank all the English members for working with him and successfully establishing a victorious national foundation. He wanted the upcoming national meeting to be a time for celebration and a special gift from him. He called it "The Day of Thanksgiving for a Victorious Foundation in Europe," and asked that it be held on March 4. Also he asked me to pray three hours on that day and seven hours the next day in order to seal the condition for the country. On the final day of the witnessing condition -- February 29 -- Heung Jin Nim gave a beautiful speech through me. "Brothers and sisters',' he said, "Jesus is united with me and we are working together actively to bring Christians, the people who love him, to True Parents. Just think what this means! Jesus is working unceasingly with the Christians to help them open their minds and hearts. He forgets about himself, thinking only of their eternal lives:' He said that now even Jesus must come to God through True Parents. "Please pray for the work of Jesus and the many saints of the past." And that is how Heung Jin Nim inspired us.